Delhi has a lot to offer when it comes to food. If you are looking for a place to chill away from the hustle of the city, Champa Gali is the place to be. The lane offers a limited variety of cafes which are unique in their own aspect. As you enter the street, you'll find Pho King on your left. Painted blue and white, and decorated beautifully with lights, this place has a Greek vibe to it. Pho King offers authentic Pan Asian cuisine. 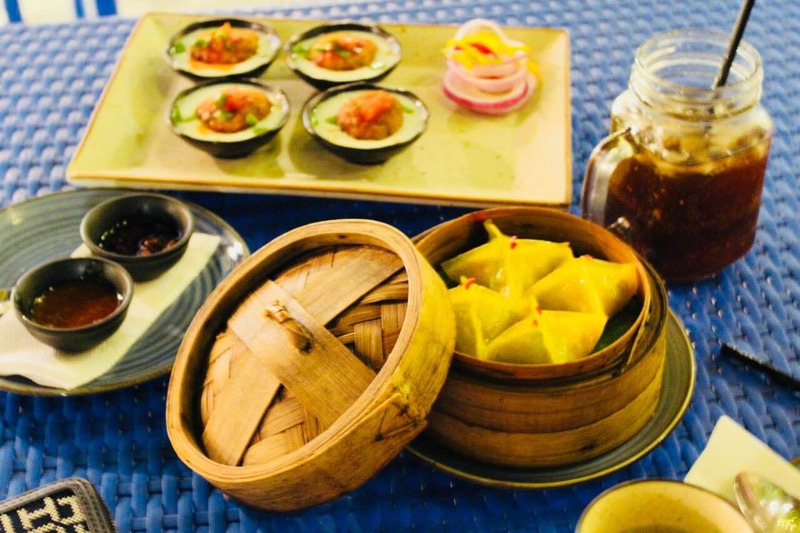 We tried Asparagus & Chestnut Dim Sums, dahi ke kebab and a summery drink. I am not really a fan of dahi kebabs but this place has the best of it to offer. The dim sums were a treat to the palate and the drink was refreshing. Next, we moved to Jugmug Thela. The place has great ambience, however, the food was a little disappointing. We ordered their classic hot chocolate, Cafe Bombon from their gourmet coffee section and Tikka Shika OMG (Paneer tikka sandwich). The hot chocolate was average but the coffee was amazing. We were really disappointed with the sandwich as it was really dry and very basic. Jugmug Thela has a beautiful outdoor seating, which makes it a perfect spot to spend the day with your friends. Their Vietnamese coffee and pesto sandwiches are highly recommended. Also, you can buy some great unusual handicrafts from the art studios in the lane. All said this place is great to spend quality time.